Lunch: We took my parents to try Rudy's BBQ. 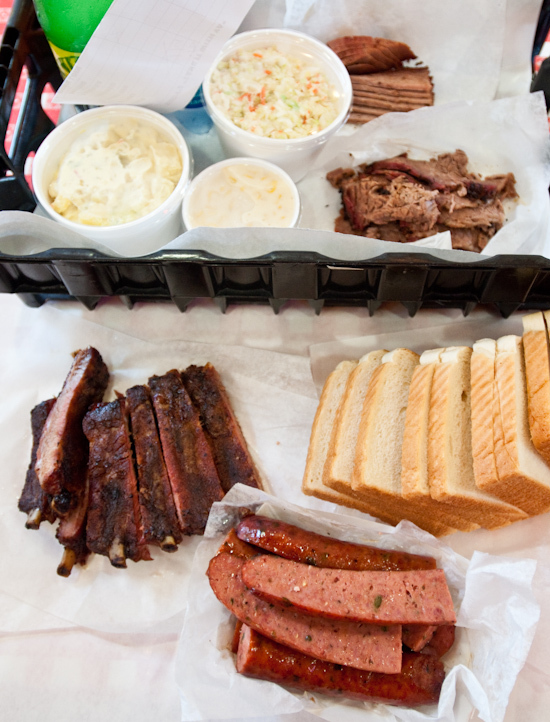 I ordered 1/4 pound lean brisket, 1/2 pound moist brisket, 1 pound St. Louis-style pork ribs, 2 jalapeno sausage links, a medium cole slaw, a medium potato salad, and a small creamed corn. Everything was pretty good but the ribs were a little too salty today. My mom would have preferred the ribs to be a bit sweeter and less salty - which made me realized why I generally like the ribs so much - they aren't sweet. So, if you like your ribs a little sweet, then Rudy's BBQ ribs aren't for you. Dinner: Tina cooked a diakon and seawood soup. 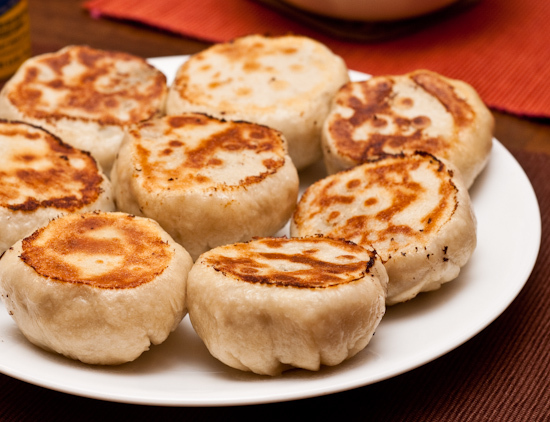 We then ate some buns filled with shredded diakon made by Tina's mother. I contributed the sous vide oxtail which wasn't ready for the sous vide party. 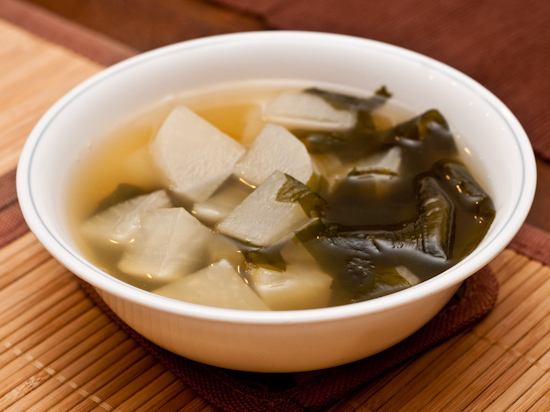 (I had cooked them for 4 days at 55°C which was hot enough to convert collagen to gelatin but not enough to denature tendons and other tougher connective tissue. One full day at 75°C took care of that and rendered off a great deal of fat as well.) 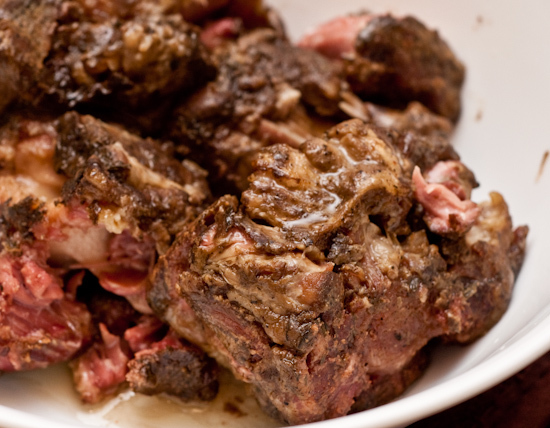 I think I still prefer the traditional braising technique for ox tail and the braising liquid can be consumed as soup, the oxtail meat is falling off the bones, and leftovers can easily be made into an oxtail terrine just be shredding the meat and refrigerating it with some of the cooking liquid. 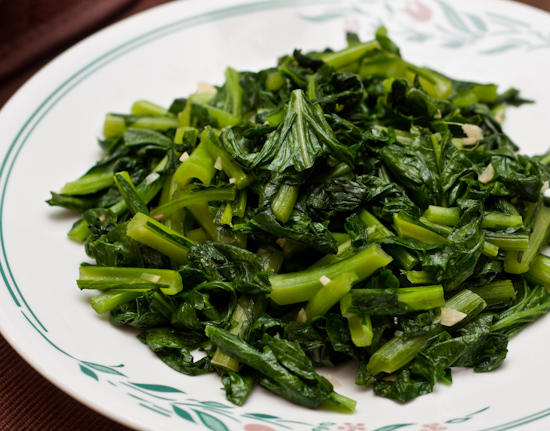 We also had sauteed turnip greens.